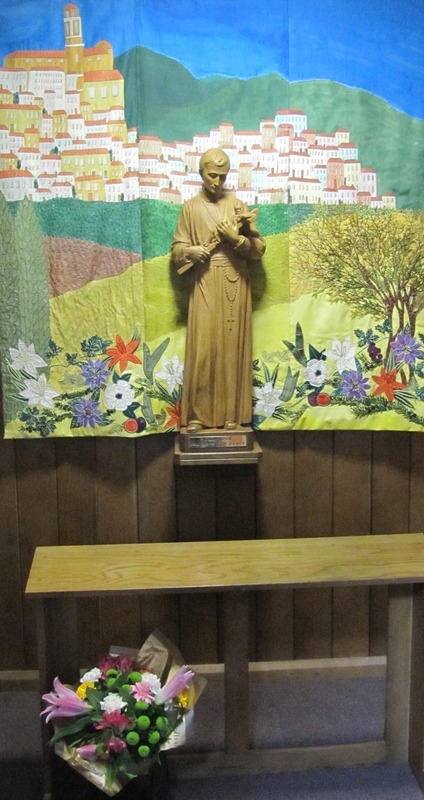 Our Shrine to St Gerard Majella is in an alcove at the back of the Church. In late 2014 it was refurbished and a hanging textile depicting St Gerard's home town of Caposele was added. The wall hanging was designed and painted by Gill Roberts and was embroidered by David Peglar and Gill Roberts of the Metropolitan Cathedral Art School. 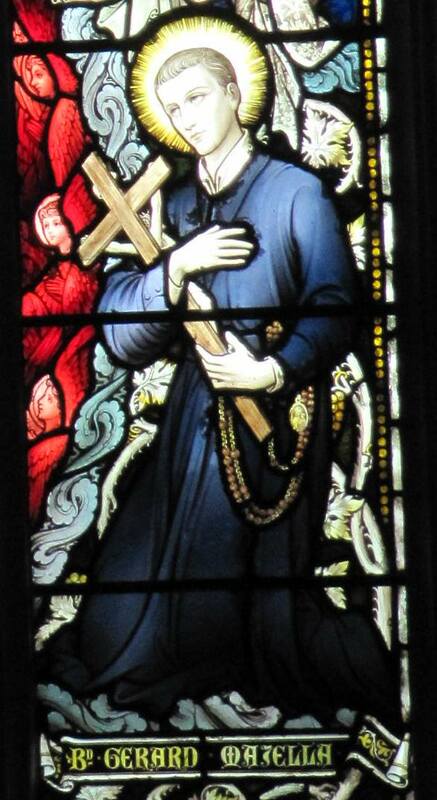 Although St Gerard's life was short, he managed to achieve great holiness. So numerous were the miracles God worked through him, that even during his lifetime he was called the“ wonder-worker “. Since his death in 1775, countless favours and miracles have been granted and worked through his intercession. As well as the patron of a good confession, he has become well known as the patron of mothers and has been invoked as a constant source of help and inspiration to parents. For prayers to St. Gerard click here. 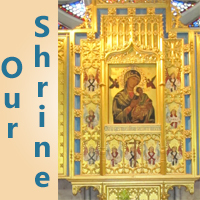 You will find the Special Intention Prayer and Thanksgiving prayer in the shrine. 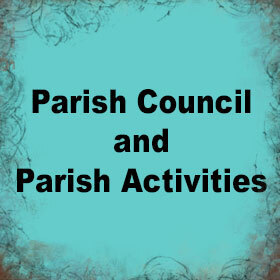 Votive candles should not be placed within the shrine, however, if you wish to do so one can be lit at the shrine to Our Lady of Perpetual Succour (or Help) which can be found at the front of the Church. One of the Confreres wrote a homily for the feast of St Gerard which has been published on the Province Website - but which is reproduced below. Writing or reading the lives of the saints is a challenging occupation. Accounts of their lives can be so remote from our ordinary human experience that we find them so unattractive and de-humanised that there is no incentive to follow them. 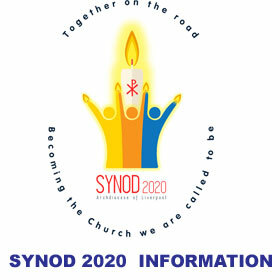 a devotion to his Blessed Mother and the compelling desire to share these with ordinary people as we journey together. In some ways Gerard is the most medieval of our saints, full of crazy gestures, even as a child yet moulded in the traditional devotions of his contemporaries, the ordinary people of Muro. The popular piety of Southern Italy at that time and even to this day is characterised by a profound sense of the supernatural, boundless confidence in the goodness of God and his providence; the mystery of the cross and a childlike attachment to our Blessed Lady and the intercession of the saints. It has been described as the poor peoples alternative to the liturgy. Some would describe this popular piety as an inferior state of faith, tinged with slight superstition, when in fact it is relating to the divine or supernatural in a different way. Of all our saints and we have a few, Gerard is the most mystical, the most free spirit and the most popular. Muro, was the Neapolitan town where he was born in April 1726. The son of a tailor he was apprenticed as tailor himself but felt a strong desire to enter religious life. Refused at first on the grounds of ill health, he was accepted eventually on a trial basis by the Redemptorists. The manner of his entry into the Congregation was a bit unusual. Now 23 years old he attended a mission in his parish given by the Redemptorists and was instantly attracted to their way of life. His mother feared that she might lose him, so on the last day of the mission locked him his room until the missioners would leave. To her horror he had tied the bed sheets together and climbed out of the window and joined the missioners on their journey home. He left a note; "I am off to become a saint." 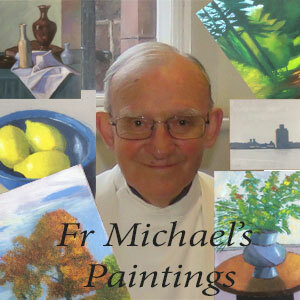 After his profession he accompanied the missioners on their journeys to 'country places to preach and catechise. He proved to be a great asset; a spiritual guide; a discerner of souls and their spiritual state; a gift of speaking of the most profound truths in the simplest of ways. What a contrast to the judgement made on him when he first entered the Congregation. His first Superior commenting on Gerard's transfer to another community "I am sending you a useless lay-brother" No psychological assessment or counselling in those days. His confreres called him: " Let me do it " for if there was ever a difficult assignment or uncomfortable situation to deal with, he would volunteer to do it. On the door of his room he placed a sign: " Here the will of God is done" and he meant it. He wrote many letters to troubled souls, directed scrupulous consciences, settled family disputes. He prayed with mothers in difficult childbirth and now is well known as the "patron of mothers and young children. Falsely accused of improper behaviour with a young woman, he remained silent until his innocence was proved. After only six years in religious life he was diagnosed with TB and endured the painful and ineffective treatments of his day. He bore his sufferings cheerfully. He died in the early hours of 16th October 1755. Gerard Majella is a grassroots saint. He was not a saint who would fit into the questionnaires or scrutinies of Canon Law. His contemporaries spoke of him as one of their own , who accepted them and their circumstances as they were. Gerard was there, where ecclesiastical documents and Canon Law had not yet reached. Perhaps this is the reason for his popularity in our day. He is there when he is needed as many anxious mothers continue to testify. Materdomini, in the hills outside Naples is his shrine. Today it will have been the scene of great celebrations, firework displays, processions and countless pilgrims praying at his tomb. I commend our Congregation to his prayerful intercession!